The name of this week’s Torah portion is Beshalach, “When Pharoah sent/Beshalach the people away” (Exodus 13:17). It begins with the children of Israel traveling from Egypt to the Red Sea. Pharaoh has a change of heart and decides to pursue the Children of Israel to enslave them again. Seemingly trapped between Pharaoh’s chariots and the sea, the Children of Israel find themselves in a precarious situation and begin to panic. Moses cries out to the Lord God, who responds by saying, “Why are you crying out to me? Speak to the Children of Israel and tell them to just travel forward!” (Exodus 14:15). Too often, we remain at the Sea waiting for it to part and wonder why nothing is happening. But we need to have the faith to step out into the waters even before they part. Don’t wait for a miracle when God says “go.” Instead, go in faith and trust that obstacles will be removed as you move forward! You must be willing to take the risk and put your feet in the water. Like Peter, we must step out of the boat when Yeshua says “Come” (Matthew 14:29). Most people will never step out of the boat or see great seas part because although they have faith, they lack the trust to take the risky first step. By stepping out, you have the potential to step into amazing things by God’s grace! After seeing what God did for them at the Red Sea, the people should have had gratitude and trust in the Lord. Instead, Israel grumbled against God due to a lack of water and quarreled with Moses to the point that he feared for his life. Our actions always have consequences. The Israelites’ doubting of God spiritually opened the door for Amalek to come and attack them at Refidim. Doubt can open the door to attack, so all of us must learn to have faith and not grumble against the Lord. Joshua is able to defeat the armies of Amalek but only as long as Moses’ arms remained raised. This was to teach the people that their deliverance was not by military force but by God’s gracious support. At the conclusion of this Torah portion, Moses builds an altar and names it “God is my miracle/Adonai Nissi.” He then declares that the Lord will fight against the spirit Amalek, which is a spirit of oppression and injustice against the powerless as well an anti-Semitic spirit that seeks to destroy the Jewish people in every generation (Exodus 17:14-16). The Lord who delivered Israel out of Egypt and prevented its annihilation at the hands of Amalek will protect and provide in every generation! God’s covenant promises to Israel is why no enemy in history from Haman, a descendant of Amalek, to Hitler has been able to annihilate the Jewish people. Have faith and don’t doubt like Israel in the wilderness. The Lord will be faithful and fight for you as He has done for the Children of Israel, for truly you have become by faith children of Abraham, grafted into the “Commonwealth of Israel” (Ephesians 2:12). What happened at the location named Mara? What lesson are we meant to learn from this story? On a spiritual level, how might it point to the self-sacrifice of Messiah Yeshua? One month after leaving Egypt and wandering in the wilderness, the Children of Israel ran out of water and began to complain about it. God intentionally allowed this to happen in order to test the Israelites and teach them an important lesson. They had to learn to trust the Lord to meet all of their needs. As a people, Israel had become dependent upon the Egyptians to provide for their basic needs. Although they were no longer slaves in Egypt, they still need to be liberated from the debilitating and demoralizing fear of not having their basic physical needs met. Through this miracle Moses performed by casting of the tree into the bitter water to make it sweet, the Lord was trying to teach the Israelites to trust and depend upon Him alone to meet their spiritual and material needs. clothes the grass of the field, which today is, and tomorrow is thrown into the oven, will he not much more clothe you, O you of little faith?” Matthew 6:25-30 (NKJV). as “a royal priesthood and holy nation” (Exodus 19:6). On a spiritual level, our lives are like the waters of Mara due to the bitterness of sin, sickness, and death. The source of this bitterness goes all the way back to the first Adam who ate from the forbidden fruit of tree of the knowledge of good and evil. Once Adam and Chava partook of this tree, humanity became like it, a mixture of good and evil. This struggle between our good and evil inclination embitters our lives and ultimately leads to physical as well as spiritual death for some. Death, however, is not the final word. Through Yeshua’s self-sacrifice on a tree, we can see an allusion to the incident at Mara as well as a reversal of the sin committed by the First Adam (both of which are connected to a tree). Thus, Yeshua died a bitter death upon a tree in order to sweeten our lives, which are embittered by slavery to sin and death. By placing our faith in Messiah Yeshua, our lives are made sweet like the bitter waters of Mara. Let us never harden our hearts and lose faith in the Lord and his provisions as our ancestors did at Mara. What is the connection between the parting of the Red and the life of Yeshua? How do we see Messiah in this week’s Torah portion? Israel was in Egypt due to Judah, who suggested that the brothers sell Joseph as a slave instead of killing him. Judah was responsible for selling Joseph, but he was also the only brother willing to give his life in exchange for Benjamin, when Joseph tested his brothers to see if they had truly changed. Judah’s bold request that he should be imprisoned instead of his brother facilitated the reconciliation between Joseph and his other siblings. On account of this, Jacob and his twelve sons not only survive the famine that occurred in the Ancient Near East but also prospered in Egypt. In the same way that Israel wound up in Egypt due to Judah’s actions, so the Messianic redemption, according to Jewish tradition, would come as a result of Judah’s descent. According to Jewish tradition, one of Judah’s descendants, Nahshon son of Amminadab, also plays a critical role in Israel’s redemption from Egypt. As discussed earlier, when Israel came to the Red Sea, it did not initially part for them. This caused the Elders of Israel to argue amongst themselves and grumble against God and Moses. Nahshon according to the ancient Jewish text known as Midrash Rabba, ran by faith into the Red Sea (Numbers Rabba 13:7). The sea did not part until the water reached his nose and he almost drowned! Judah’s and Nahshon’s actions involved a willingness to sacrifice their lives for God and their brothers, which helped their deliverance to become a reality. Nahshon goes on to become the tribal chief of Judah and is listed in the genealogy of Yeshua (Matthew 1:4). Yeshua, as a descent of Judah, provides the ultimate example of self-sacrifice, mesirut nefesh in Hebrew, when He gives his own life as the Passover Lamb. 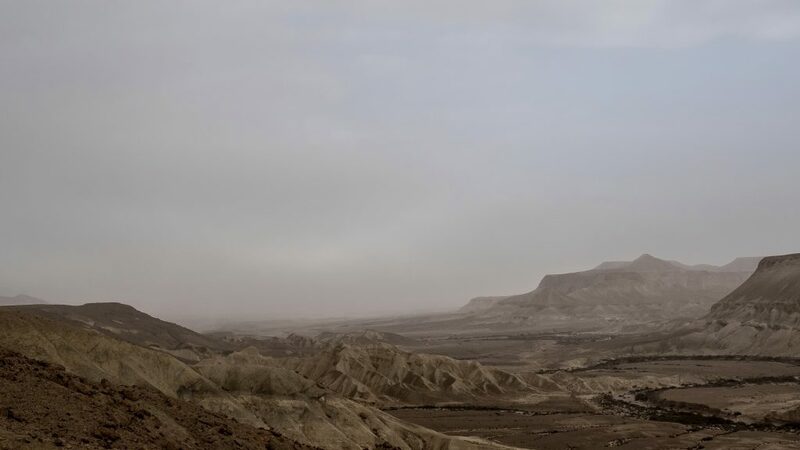 Like the patriarch Judah, Yeshua was willing to lay down his own life, though He was not guilty of any crime, so that both Israel and the Nations might be delivered from the power of sin and death. In both Jewish thought and in the New Covenant, Israel’s descent into the water of the Red Sea becomes synonymous with death. And Israel’s ascension onto dry land becomes a picture of freedom, new life, and a new beginning. In the same way all Israel was baptized into Moses at the Red Sea (1 Cor. 10:1-3), all followers of the greater than Moses, Messiah Yeshua, are baptized into Him through immersion into water, which become a a picture of going from exile/spiritual Egypt to redemption and death to resurrection life. Like Nashon, Yeshua ran into the sea of sin and death head first, willing to sacrifice his own life on behalf of others. This is the greatest act of self-sacrifice that the world has ever seen. And like Nahshon, He experienced a miracle. On the third day, God raised Yeshua from the dead, rolling away the rock of His tomb just like he rolled the Red Sea open. The veil of the Holy of Holies in Temple was also parted supernaturally like the Red Sea by Messiah’s death. Yeshua, like Nahshon, was a descendant of Perez, whose name comes from the root word “breakthrough.” The promised Messiah would be a descent of Perez from the Tribe of Judah and, according to the Messianic promise, would be the “the Breaker,” the “One who breaks open the way” (Micah 2:13). Yeshua is the one who breaks open a way for us to move from freedom to slavery and death to life, and leads us towards the Promised of Land of the Messianic Kingdom! The same Spirit that raised Yeshua from the dead now lives in you and wants to give you courage, boldness, and spiritual power to do great things for God! But if you want to help part seas and see miracles, you must be willing like Moses, Nahshon, Yeshua, and his disciples to risk and sacrifice everything for the Lord. When you are willing to both lay down your life for God and die to self then you will truly experience and do amazing things for the Kingdom!